Who is the Vicar? There are many answers to this enigmatic question, best answered at www.dgmlive.com. For now, however, rather than focus on these pesky details, why not simply become the Vicar? 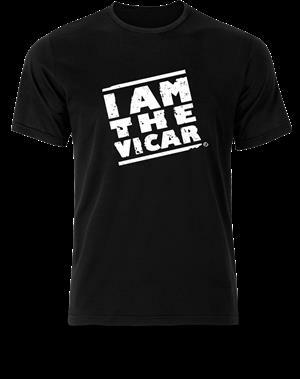 Yes, you can be the Vicar in this thought-provoking tee. Surely you have listened to Songbook #1, and read the Vicar Chronicles, as well as the Graphic Novel, and now, you can happily claim to be him in this conversation-sparking shirt. Printed on a cotton, Gildan, soft style tee.